There comes a time to take stock in every bloggers life as to what they want to accomplish. We’ve always had big goals at PNRNetworks, and we keep chugging along, even though we usually don’t hit all of them. As 2018 approaches, and we head into our official thirteenth year as a site (Popcorn N Roses, our original site, debuted on December 1 2005), we’re going to be making a series of changes designed to affect each individual site. The first revamp will happen in the next few days, when The Kirkham Report, my music site, comes back on line. We’ll go into the details over there more when it premieres, but it’s going to become a music and information site with an emphasis on Spotify Playlists of all shapes and sizes. Next, the biggest change over the next three months will be happening to our Hub-centered site, eCinemaBoston. We’ve served the Boston film community for over a decade with this site, and we haven’t always been able to keep up with current things going on. So we’ve decided to change direction a bit with it, and transform it from a news and commentary site to a community driven site focusing more emphasis on events and venues and the Boston film community. We will be reaching out to the more than 50 venues that fall into our 50-mile radius coverage area in the next month and personally invite them to become more active. The idea – to promote eCB as a one stop hub for film activity in Boston and the surrounding metro area. The biggest change – effective January 1 2018, eCB will become a MEMBERSHIP site and will be supported by the people who want to use it. Basic Membership will ALWAYS be free, with additional privileges accorded those who are interested in the additional levels of activity and access and who commit to being a part of the site by becoming a Patreon Patron of the site, such as access to comment on the various forums we’ll be adding to the site, and hopefully eventually expanding to include member commentary articles, meetup groups, special screenings and the like. To prepare for this changeover, eCinemaBoston will be down for several weeks as it is retooled, probably beginning sometime this week, and will return on January 1 2018. January will also be bringing three exciting new projects to the PNR Family. First, Kim will be hosting a brand new show, “Ring Around The Rosie”, beginning sometime in January – this new podcast is devoted to Kim’s long time love for pro wrestling and the people therein. She’s been looking forward to this for months, and while it’s not completely out of the planning stages, I know she’ll be a great host for this – she’s been a fan for 30-plus years now (sorry hon, but you have) and her knowledge and penchant for trivia will play big into her personal recollections of classic wrestling as well as reviewing the current stuff. All in all it should be lots of fun. It will be available on Wednesday evenings. The second addition is a one-time addition, at least for now – the debut of PNRNetwork’s first ever dramatic presentation! ALL of the people involved with PNRNetworks are getting involved in the production of this super special project, and it will be available in mid-January EXCLUSIVELY on PNRNetworks’ YouTube channel. And if it does well, there might be more to come later in 2018…heh heh heh… No actually, even if it DOESN’T do well – and in all honesty I think people will love it – we have a second dramatic presentation already in the planning stages for mid-fall…say possibly in September or October..consider this a hint, heh heh heh…more on this production will be announced in early January. 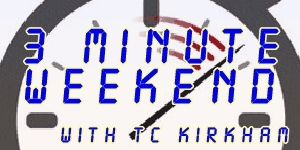 The third addition will be a new video podcast, a sort of video edition of Three Minute Weekend, title yet to be determined, which will also be available exclusively on our YouTube channel. 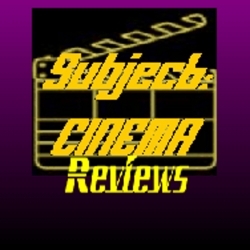 This weekly show will be designed to give you a bit more indepth coverage of each week’s new film releases. Although we’re aiming for the first Thursday of 2018 for this new show, it may not make it up until later in the month, circumstances depending. In fact, we’re going to be greatly expanding our video offerings over the next few months, in addition to the above. We hope to take you behind the scenes here at PNR Networks, as well as at all the major Boston based film festivals, around the various venues in the MetroHub, and more. Plans are afoot, and each show will be announced as they come together. Now, about my show, my baby, Catastrophe Vortex…I know this show hasn’t been done as often as I had hoped to do it, and I’ve missed several weeks at a time. So beginning in January, when new episodes of the show will be released on Mondays, I’ll be retooling it a bit, with the hope of making production easier in the future. I’ll explain all of this over on the show’s website at http://catastrophevortex.com later this week. 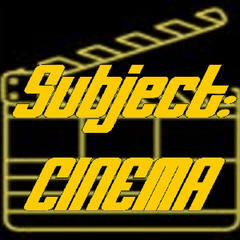 As for our flagship show, Subject:CINEMA…well, let’s face it – the damn thing keeps going and going! And we LOVE doing it! As we head into 2018 approaching our 600th episode, we’ve got some exciting things planned for 2018 and we hope you’ll like what’s ahead. The same can be said for SC’s spinoffs Front Row Five And Ten, Three Minute Weekend, and Tuesday Digidex as well. All in all, we have a ton of new stuff planned for the next year, and it’s all coming together slowly. We would be more able to do more and get things going a it more quickly had our Patreon campaign taken off, but it didn’t. To tell you the truth, we’re at a bit of a loss as to why it doesn’t seem to be working. We have thousands of people listening to our shows and visiting our websites, but no one seems to be willing to put up a couple bucks to help us with our expenses, which have risen considerably over the past 18 months, or to acknowledge the hard work that we put into our sites and shows. That hurts quite a bit, to be honest, but we’re determined to keep chugging along because we don’t want to disappoint the people who do listen and read our sites all the time. But it sure would help us out – A LOT – if you become a Patreon supporter – it starts at just $2 a month – and we have a lot of great perks that people are passing by for supporters. We’re going to be doing more Patreon-exclusive projects in the near future, and we hope you’ll come on board – it would mean a great deal to us if during this holiday season, you can see yourself through to joining our campaign…and remember it helps ALL of the PNRNetworks sites and shows when you do so. More new projects will be forthcoming, and you’ll read about them here first! Thanks for your continuing support over the years, for reading our sites and listening to our podcasts, and here’s hoping 2018 will be our best year yet!